For any parent out there, interacting with teenagers has definitely become an even greater challenge thanks to technology. Even though their phones are always in their hands rapidly texting their friends or scrolling through social media — mom and dad are low priority on the list to check and answer. I’ll admit, as an adult, I still tend to do the same with my parents. This week, we have an app that will prevent your kids — or anyone of significance — from ignoring your texts. 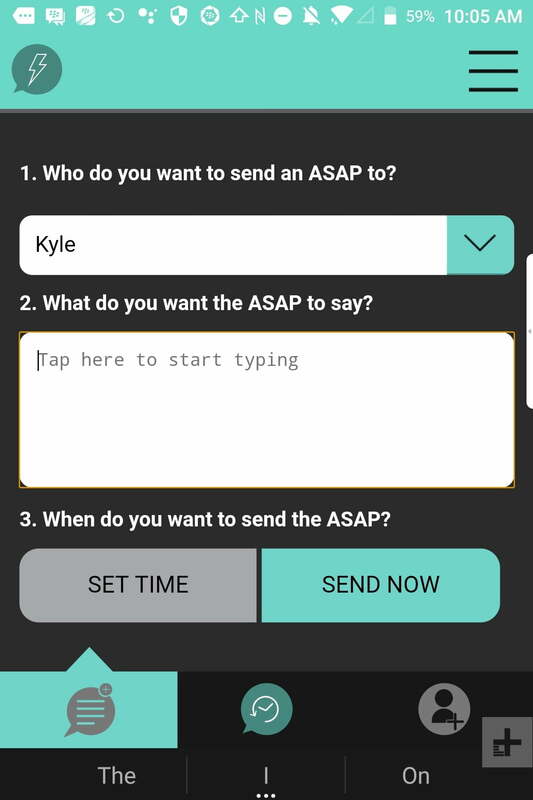 ReplyASAP is an app that lets parents contact their children — even if those kids always have their phones on silent. Creator of the app, Nick Herbert, noticed that giving his son a phone didn’t actually help him get a hold of the boy. His son constantly had his phone on silent and was “too busy” to check in. Herbert realized if the alarm on his phone could still go off even when his phone was set to silent, then there had to be a way to do the same for text messages. 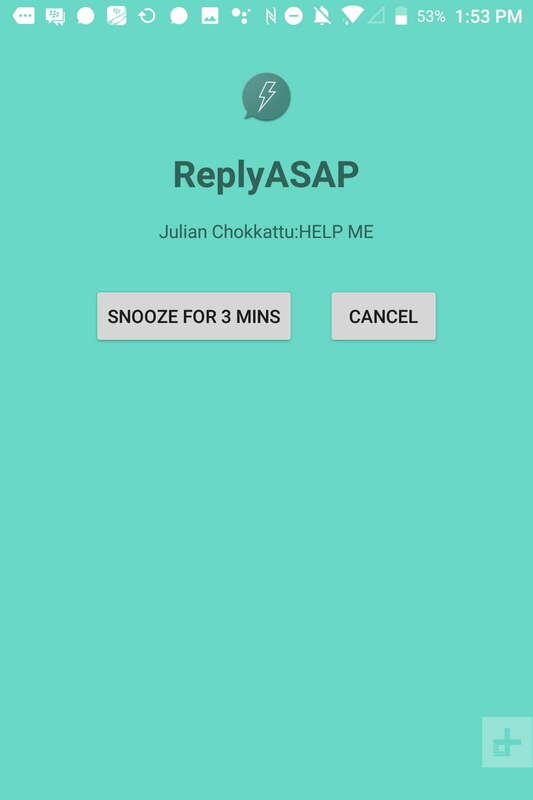 Currently only available for Android, ReplyASAP overrides the silent function of you phone whenever a text is sent through it. Though it can be used as an alternative for messaging apps or SMS, it’s mostly a great way to send emergency texts. The last thing a teenager wants is for their parents to tie them down via an app, so it’s not meant for on-going conversations. It easily lets a kid respond that they’re fine. 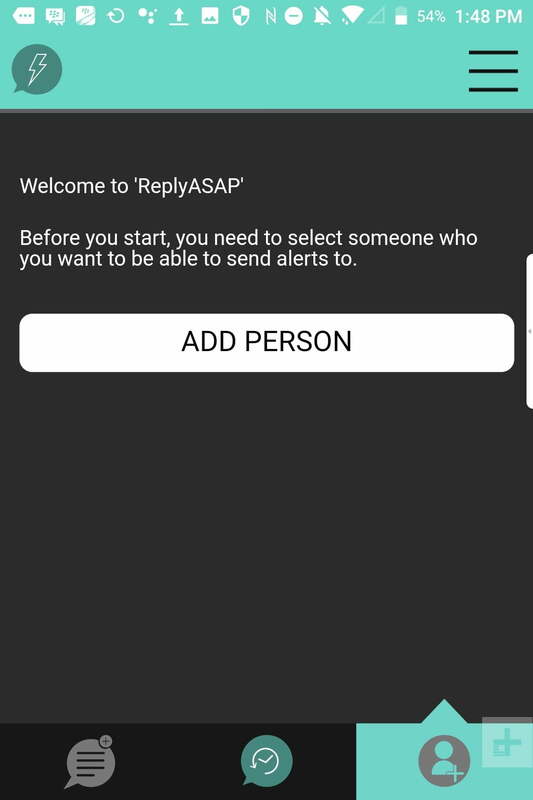 He developed ReplyASAP for Android first because it’s less locked down than iOS and they were able to get it ready quicker. The iOS version will be available soon, which will allow users to send messages regardless of their device. I am the self-proclaimed queen of the “sorry, I just saw your text!” excuse. I even specifically turned on the read receipts in my iMessage settings because I’m convinced it’s a motivational tool for me to increase my response rate. Sadly, it’s not. I still manage to read a text and mentally respond instead of typing it out and pressing send. Instead, I go back to scrolling through social media and tell myself I’ll answer in a few. It doesn’t help that I too am one of those people who keeps their phone on silent or vibrate. When I downloaded the app, I was particularly excited to see if whether or not an alarm would actually force me to respond quicker. In addition to read receipts and a loud ringing noise, it completely dominates your screen when you receive a message. The only way to silence it and get rid of the message is to press a button on the message takeover page, which then displays a read receipt. Your two options on the takeover window are either “Cancel” or “Snooze for 3 Minutes,” both of which will be apparent to the other person. The sender will see a status of the message that either says “Pending” — if the recipient doesn’t have internet connection which is required for use — along with “Delivered,” “Snoozed,” or “Seen” if the recipient read it and pressed cancel. If you delete the app, users will receive a notification letting them know you no longer have it. While the app is free, I quickly realized that you have to pay for how many users you’d like to add in order to use it. For a limited time, you can connect to one person for free, but after that you must buy a bundle. The “bundles” range from $1 to $14 depending on the amount of contacts you choose. Once you send an invitation via SMS to whoever you’d like to add, they’ll receive a text with a referral code to input into the app, letting them use it for free. If there’s someone else they want to send an ASAP to, they’ll also have to purchase a bundle. Since my own dad has zero patience for his smartphone, let alone testing an app on it, I decided to try it out with my co-workers. We set up the apps on our phones and braced ourselves. 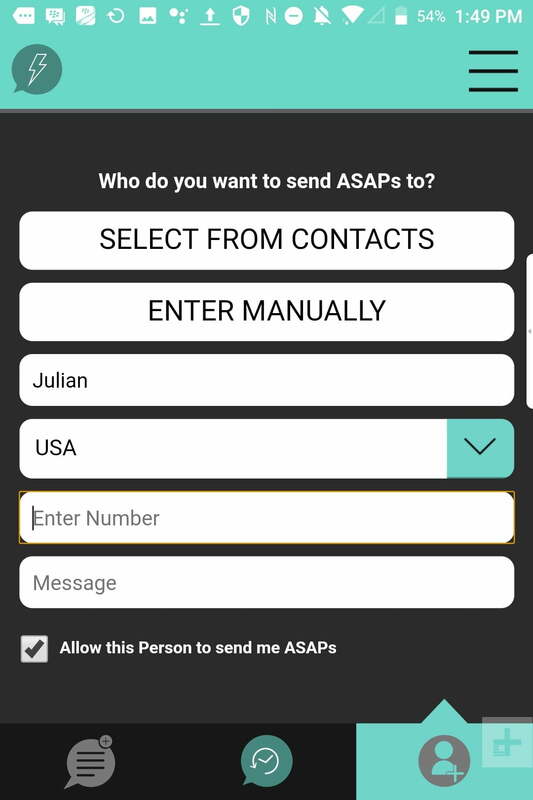 The interface is simple to use with a dropdown menu of who you want to contact, a text box to write out your message, and the option to send it. 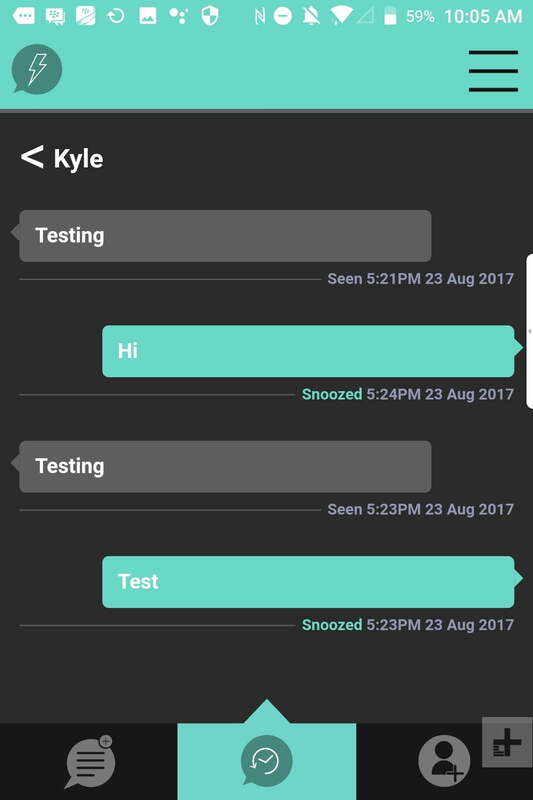 You can even schedule a text to send later by setting the time. The app did work the first few times as we sent messages back and forth. I would hit snooze when I received a text and it would clearly label “snooze” underneath the text. I couldn’t physically exit the window until I chose an action in response to the text — definitely an uncomfortable experience at first. By the last test we did, I wasn’t able to turn off the alarm. The combination of the obnoxious sound and me not having a clue on how to get it to stop, was enough anxiety to make me realize the app definitely gets its point across. I found myself aggressively pressing the snooze and cancel button, but the horrific noise still wouldn’t stop. I handed off the phone to another co-worker instead who force quit the app instead. It did start working again even after the minor glitch and upon receiving another text, I became used to the sound and began replying a little quicker. There have been constant bug fixes and improvements to the app since its recent launch, and Herbert says there is a long list of new features and updates to add in the future. His current focus is to roll out a version for iOS and to fix other issues with the app users are mentioning. In theory, it makes sense to have an app that counteracts our constant habit to disregard text messages when our phones are always on silent or vibrate. But with ReplyASAP in its beginning stages, I wasn’t able to overlook a few of its problems. For instance, you can still force quit any app so it sort of defeats the purpose of its ability to freeze your screen. There’s also the fact that someone won’t be able to reach you through it unless you’re connected to the internet and in case of a real emergency, you’re better off not using it. But the fear instilled from hearing the alarm is enough to remind teens to let their parents know they’re okay. There’s probably nothing more embarrassing than being at the movies or at a party only to have your phone loudly and uncontrollably go off. Moral of the story: check in with your loved ones. It’ll take you less than two seconds. Then apps like this won’t need to exist.